In the late nineteenth century, Luther Roberts constructed a single-pen gable-roofed kitchen house of four-by-four circular-sawn timbers joined by square notches and set over hewn-log sills salvaged from an earlier structure. In keeping with its intended use, the kitchen has a large fireplace with a simple post and lintel mantel and a prominent fieldstone chimney with a corbelled brick stack on the south facade. The original door, a wide, mortised and tenoned, five-panel door is found on the north facade, and a single four-over-four window on the east and south facades. 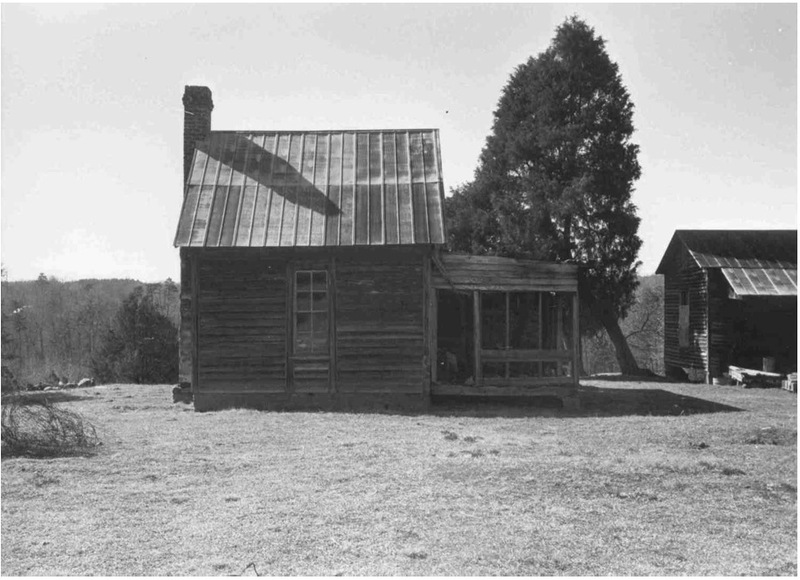 In the early twentieth century, the kitchen may have been a dwelling because door openings were made on the north and west facades to serve a large shed addition and a front porch that have collapsed. With dilapidated frame tenant houses on the west and north sides, the kitchen encloses a small rectangular courtyard once at the rear of a farmhouse that has been demolished. North of the courtyard a V-notched log barn has been converted for use as a chicken house.